Water is our origin. 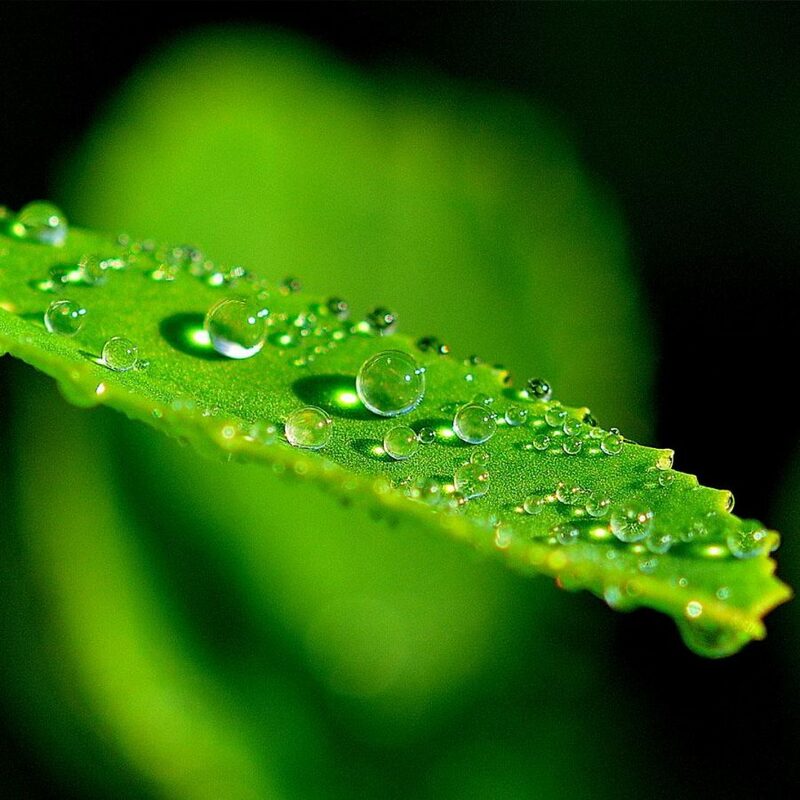 The origin of water is nature. 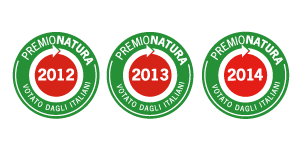 Sant’Anna’s research laboratories are involved in a revolution within the world of packaging that is extremely worthwhile: an eco-friendly pack that protects the important intrinsic qualities of Sant’Anna Water and, at the same time, respects the nature of our planet. 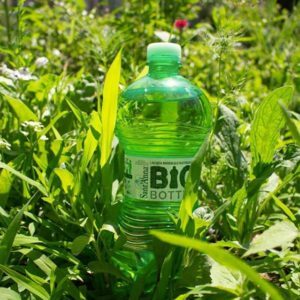 Since 2008 Sant’Anna has been the first brand in the world to launch a 1.5 litre biodegradable and compostable bottle into the mass market. 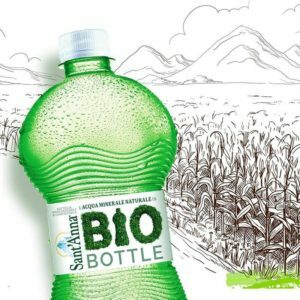 Today the Sant’Anna 1.5 litre and 1 litre Bio Bottles are also the first and only compostable bottles currently in Italy. 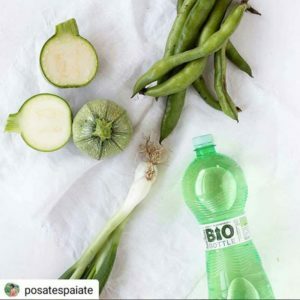 The Sant’Anna Bio Bottle is the first bottle in the world that is made totally with BIO PLA: a special polymer that is obtained from the fermentation of sugars contained in plants, without using a single drop of petroleum or its by-products. 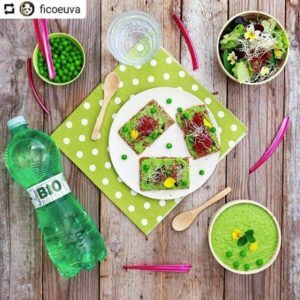 The result is a revolutionary Green Bioplastic because it’s biodegradable and compostable, that in just 80 days it simply returns to being part of nature, as guaranteed in accordance with regulation EN13432. 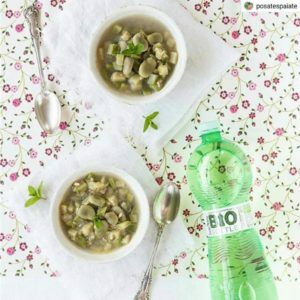 Numerous laboratory tests have demonstrated that this innovative Bioplastic derived from vegetal elements protects and preserves the sensory properties and the quality of Sant’Anna Water, from the source to the consumer. 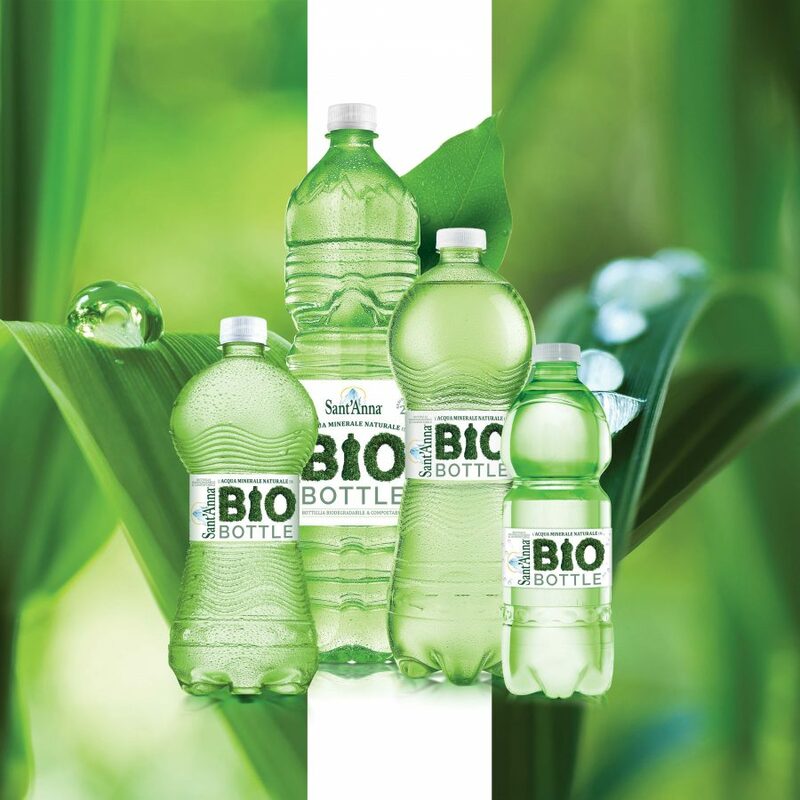 The Bio Bottle is a real natural container that perfectly respects the naturalness of its contents. 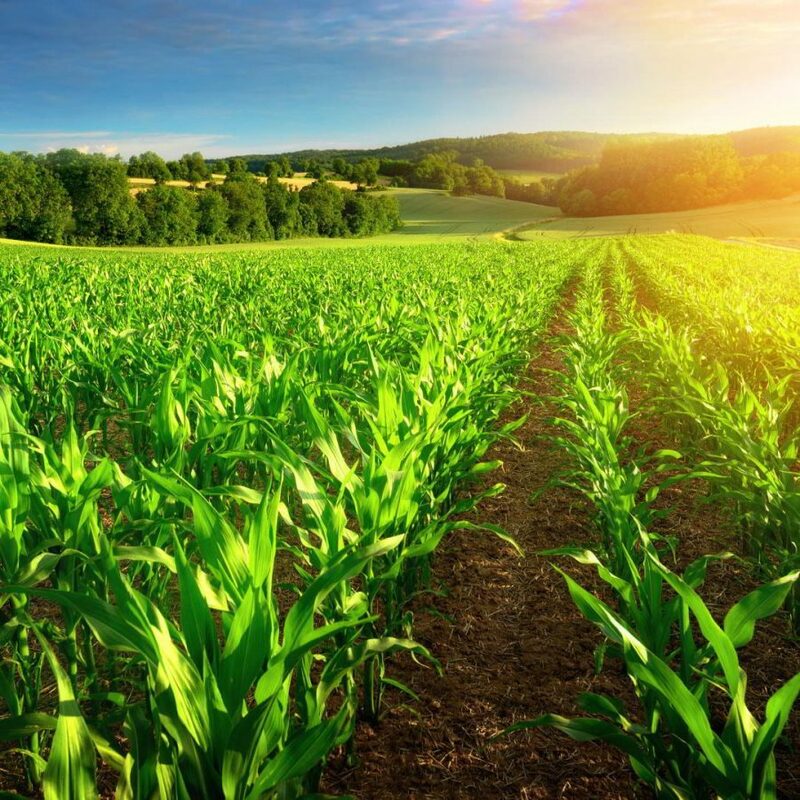 Because it does not contain even a drop of petroleum or its by-products. 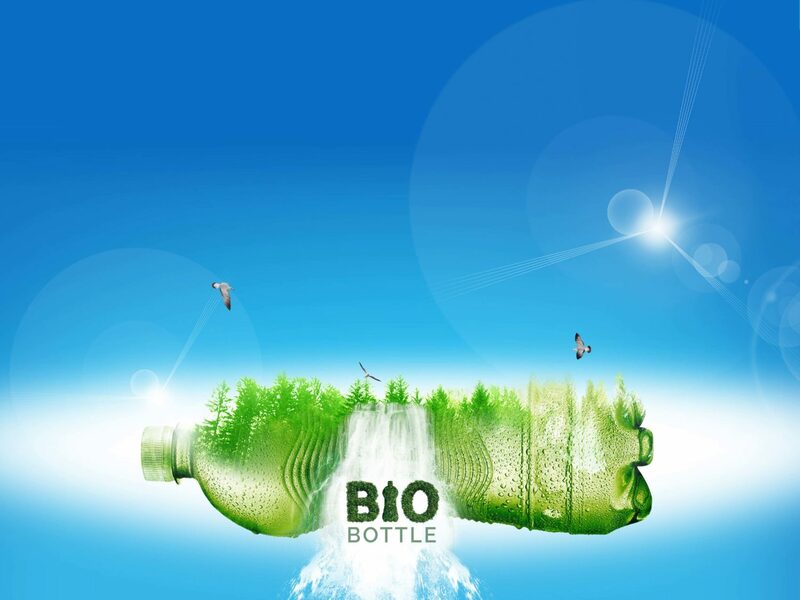 A 60% reduction of energy in the plant’s manufacturing process during the production phase of the bottle preforms (granule drying period), up to 30% in the fusion phase and 70% in the cooling preform cycle. 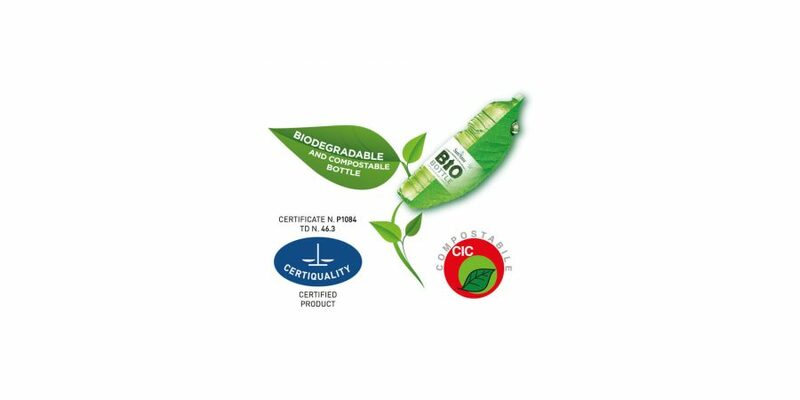 The technology and the research to obtain these results are as complex as its use is easy and as its life cycle and disposal are natural. 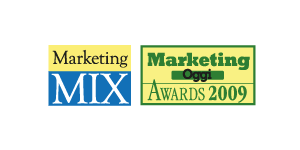 And, here I am again! 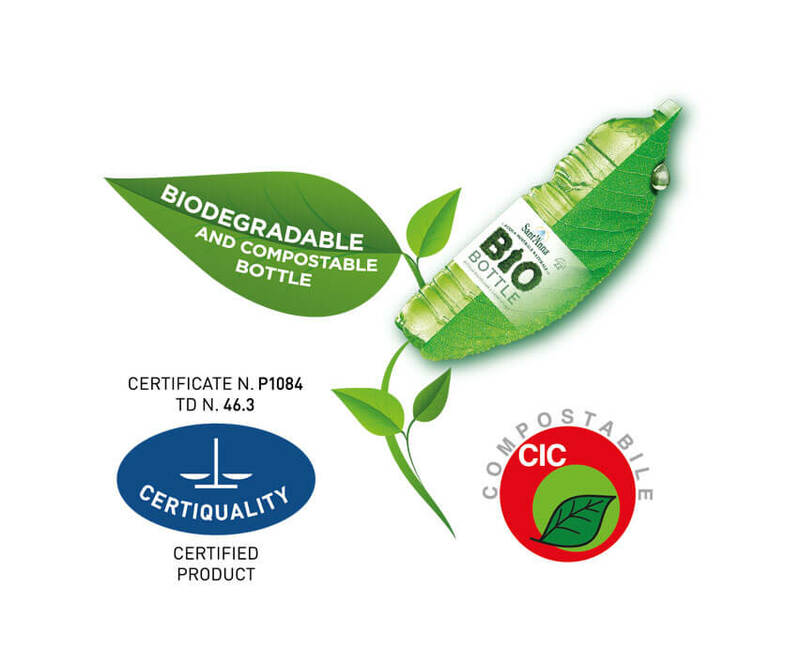 The 100 % vegetal biopolymer of the Sant’Anna Bio Bottle is a product of the American NatureWorks company. 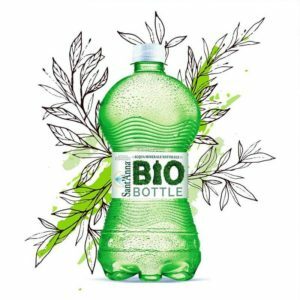 Sant’Anna continues to invest in research and development and has also designed the entire label of the Bio Bottle in PlaBio. 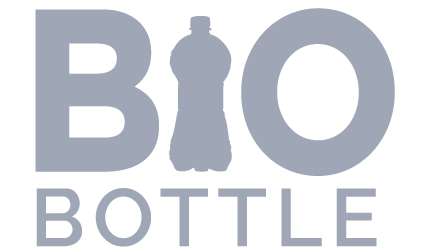 Current studies are aimed at creating the bottle cap and neck of the bottle, in order to achieve the dream of a 100% natural product, inside and out. Central to our company’s philosophy, in which we move with respect and gratitude for the environment, Sant’Anna, the indisputable mother regarding water quality, has already successfully concluded the experimental phase of another unexplored innovation: the substitution of plastic wrap used for 6 bottle packages. 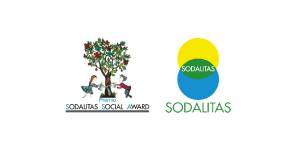 Instead there is a simple PLA twine, equally resistant and practical, but notably able to reduce the consumption of resources and materials to be disposed. 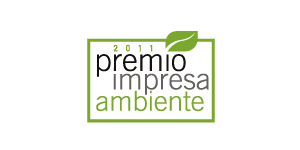 The plant at Vinadio is built according to environmentally friendly architectural designs. The main materials are wood and stone. The use of logistics by railway for transporting the water from Vinadio throughout Italy. Presently, one Sant’Anna Water train departs each day. The Vinadio warehouse and all the handling of the merchandise are run by electric laser-guided robots and not by gasoline, thus there is no pollution. New robot wrappers have been introduced, allowing for savings in plastic packaging. 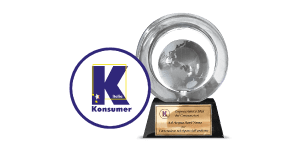 Since 2017 there are 6 natural gas (LNG)-powered trucks, the best that the market offers regarding sustainable transport. 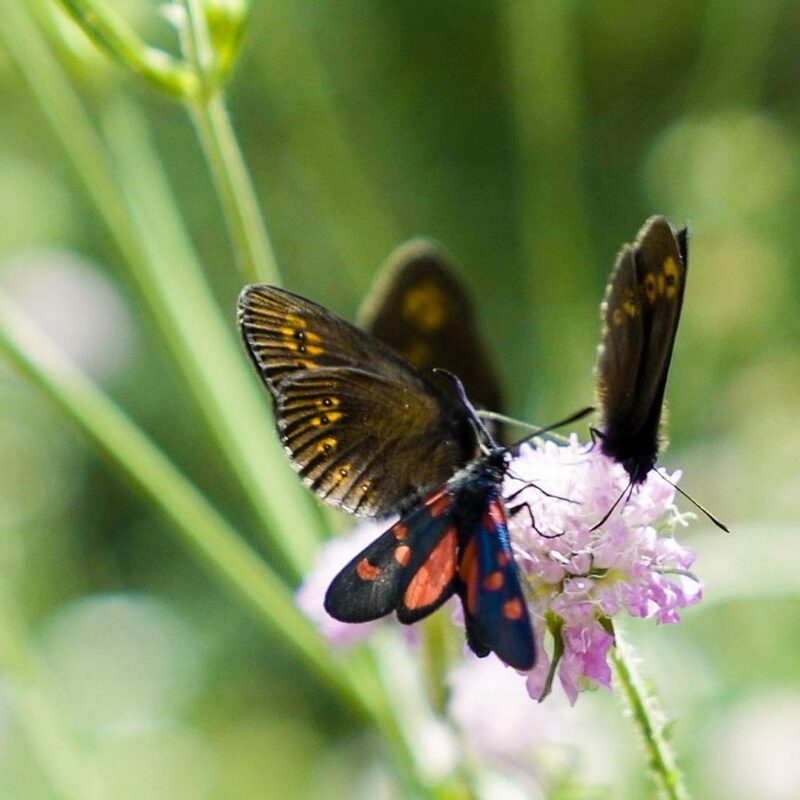 Their performance is 6 times better than the Euro-6 diesel model in terms of reducing emissions, also from an acoustic point of view.